If you have recently been involved in a vehicle accident case in Boca Raton, you may have spoken to your injury lawyers about the benefits of accident reconstruction. Accident reconstruction serves a critical purpose primal to investigate what actually happened at the scene of the accident. There are two types of individuals who will usually perform these duties. As soon as possible after the accident, the police may arrive at the scene to investigate what happened but your personal injury lawyer in Boca Raton may also attempt to reconstruct the scene of the accident with or without the help of independent investigators. When the police investigate an accident, it is their goal to determine whether or not any criminal actions took place. Some of the things that the police might look for include mechanical violations, alcohol use, hours of service violations for truck drivers, speeding or drug use. Independent investigators, however, are usually hired by injury attorneys or insurance companies after an accident occurs. The job of that independent investigator is to analyze the accident causes to determine financial responsibility or liability issues. In Florida, this would involve situations in which your medical bills have totaled more than the personal injury protection cap. An accident investigation usually has many different elements but it will almost always begin with an inspection of the accident site itself. These can typically be evaluated with electronic survey equipment. A computer then generates a diagram to reconstruct the scene of the accident. The Department of Justice recently revealed that they are requesting expressions of interest from police departments to use accident scene reconstruction with the help of drones. The research project will start in 2017 and will operate until a sufficient amount of evidence has been collected. Police departments in Texas, Kansas and Florida are several of the local agencies who have been authorized to patrol the skies with the drones. The Department of Justice is primarily interested in Police Department procedures for preserving the collected data as evidence. Presently, in order for an accident scene to be reconstructed, details from the scene itself must be captured and evaluated carefully in order to generate the computer diagram. The primary purpose of accident reconstruction in most of the cases is to determine how much of a vehicle speed was lost in a collision sequence. These situations can be much more difficult to reconstruct when there are multiple vehicles involved. When there are multiple vehicles involved, the question of liability becomes even more important. Accident reconstruction, for example, may help to identify who was at fault in the accident and how his or her behavior contributed to your injuries. Every accident case is unique, but nearly all of the victims who visit with an experienced personal injury lawyer will have concerns about being able to afford their future. Some of the most common injuries from car accidents in Florida are associated with costly medical bills, leaving a victim wondering how he or she can ever afford the bills. The good news, however, is that if someone else is responsible, you may be able to recover funds in a personal injury lawsuit that help pay for your medical treatments now and into the future. 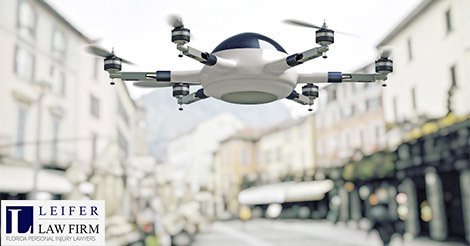 If you have already been hurt in an accident in Boca Raton and have questions about your rights, including whether or not you are eligible to file a personal injury claim, you need to consult with a drone accident injury attorney Boca Raton as soon as possible. This could be the important first step towards receiving compensation for your injuries and allowing you to move on with your life.